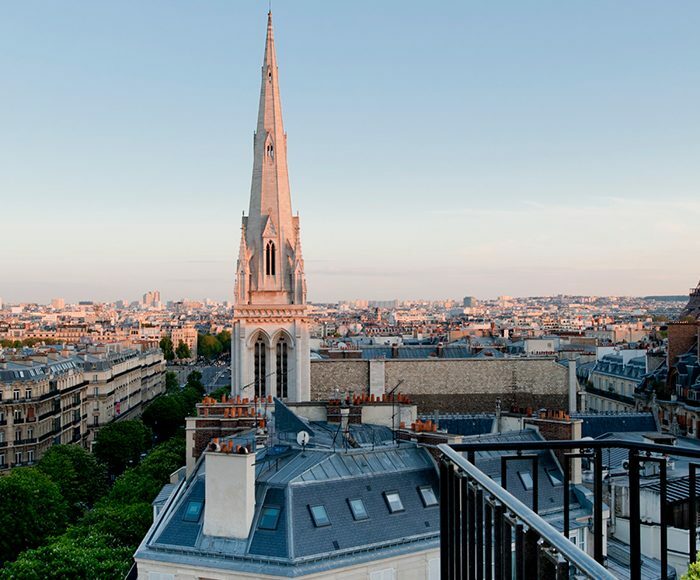 If the idea of taking your kids on vacation sounds daunting, consider that you have only a handful of holidays before your little ones become adults and start planning their own grand getaways. Make the most of family vacations by visiting destinations that will rejuvenate your love of travel, provide your family time to relax together and help you unplug from routine as you introduce your tiny travellers to the wider world. We asked six savvy mothers to nominate destinations for the best family vacations based on real-world experiences with their kids. Here, these sojourning matriarchs offer insider tips and top picks for family-friendly holidays from Orlando to Hong Kong and kid-approved resorts from Hualalai to Sharm El Sheikh. 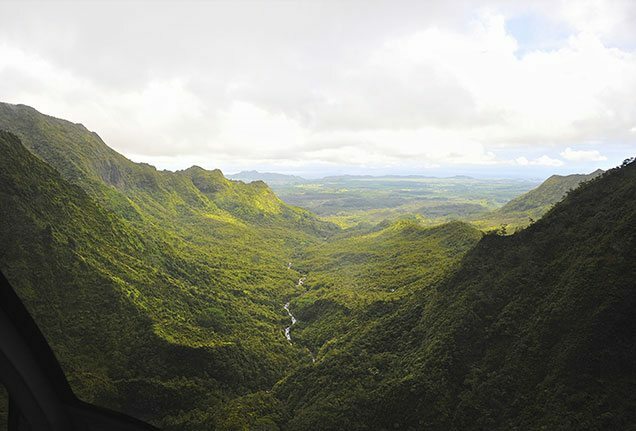 Enjoy a bird’s-eye view of Hawaii during a helicopter tour of the Big Island. 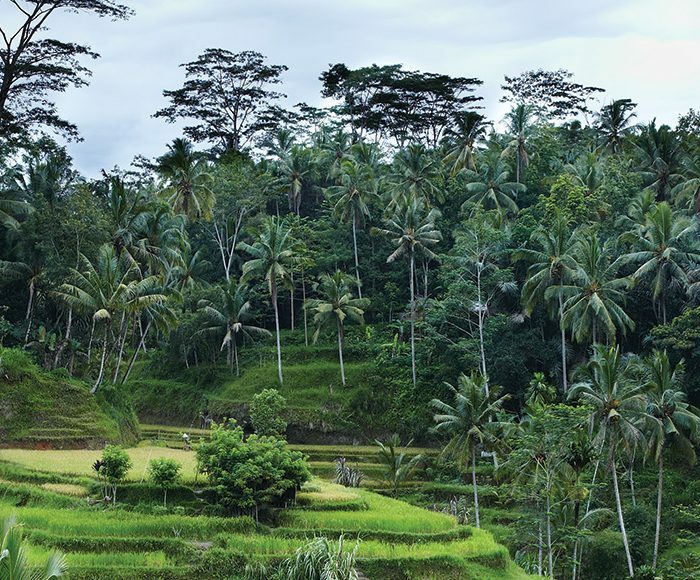 Children will love watching an active volcano spill lava into the ocean, or weaving through jungle-filled valleys. For a carefree vacation, I love Four Seasons Resort Hualalai at Historic Kaupulehu, where kids and parents alike can have the holiday of their dreams. 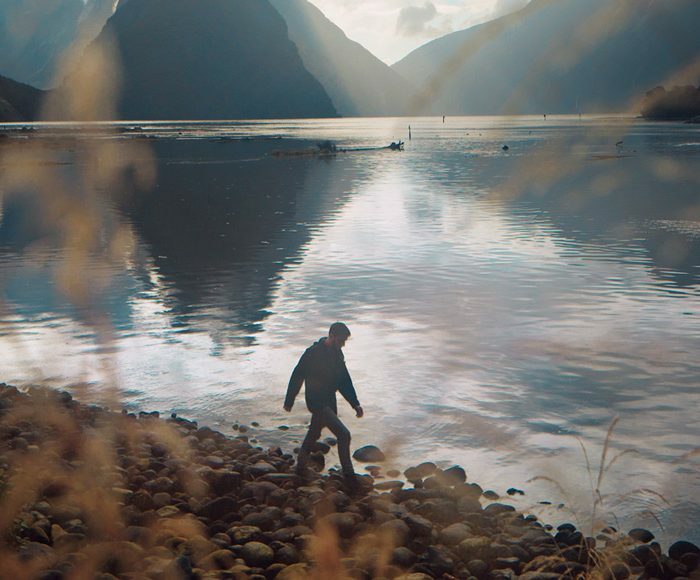 Because the Resort is only 15 minutes from the airport, as soon as you arrive, you’re there—it’s logistic nirvana—and the programming at the Resort is so extensive you don’t have to ever leave the grounds. If you do venture out, try the full-island Hualalai helicopter tour—our son loved watching bubbling lava flow into the ocean. Hupuna State Park is nearby, with long sandy beaches and water that’s ideal for body-boarding. At the end of the day, we found ourselves happily lingering on the grounds of the Resort. Our son enjoyed watching turtles nest along the beach, and playing near the shops as the sun set. He learned to snorkel without leaving the property and spent Kid’s Night Out watching movies on the lawn while my husband and I enjoyed date night. We learned hula and lei-making as a family at the Kaupulehu Cultural Center—the perfect way to expose our child to a new culture and spend quality time together. 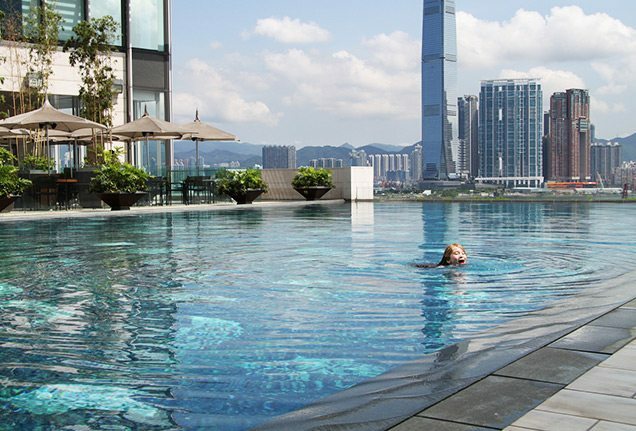 A family vacation in thriving Hong Kong combines thrilling visits to theme parks for the kids with cultural learning experiences, plus time to relax at Four Seasons Hotel Hong Kong and take in the iconic skyline from the outdoor pool. Hong Kong is a surprisingly easy family travel destination. Public transportation is efficient, the airport is easy to navigate, and everything a family needs can be purchased within steps of Four Seasons Hotel Hong Kong. While much of Hong Kong is a bustling city, there are plenty of opportunities to hike, enjoy the beach or spend time on the sea, so you can choose a pleasant mix of urban and outdoor activities for an active family. Two of the most popular family destinations are Hong Kong Disneyland and Ocean Park, where kids can be kids and parents can score major cool points. If you prefer to skip the packed parks, head up to Big Buddha on a glass-bottom cable car, or take a ride on the new waterfront observation wheel at twilight to watch the city sparkle. While many parents worry about the food options in Hong Kong, this shouldn’t dissuade those with even the pickiest of eaters. Kids love the petite dim sum, and if all else fails, pizza and burgers are available all over the city. We used many of the Hotel’s family amenities, including the outdoor pool deck, where complimentary popsicles and treats are passed around periodically. If the siren call of the watering holes at Lan Kwai Fong beckons, book a nanny through the Concierge. Otherwise, stay back in your Harbour View Room and watch the Symphony of Lights laser show over the water. Word to those still strollering: The city’s uneven pavement and unavoidable stairs make pushing your tiny tots a tiny hassle. Egypt’s most underrated attraction might be the stunning white-sand beaches of Sharm El Sheikh, which disappear into the turquoise waters of the Red Sea. You don’t often hear the words “Egypt” and “children” spoken together in the travel sphere. 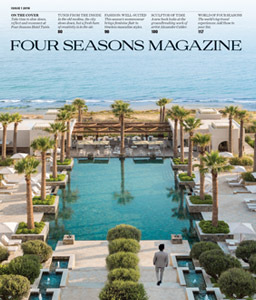 Four Seasons Resort Sharm El Sheikh is an exception. From the moment we arrived at the Resort, we all felt at home. We spent most of our time at the property, which is large but well contained. Rooms feel like mini-cottages (with plunge pools in some! ), and it only took a few hours for all of us to get to know the lay of the land. Whether at the pool or on the beach, we enjoyed great views and attentive service, and the restaurants excelled at offering something for every palate. Mealtimes included options our children were familiar with as well as the chance to try new things, like the delicious Merguez sausage and hummus. And the Resort’s Kids for All Seasons Club is small, but it makes up for its size with fun cultural activities, like learning to write your own name in hieroglyphics. The kids had to be pried away each day, and the talent show at the end of our stay had us all laughing. An unexpected perk of being at a Resort where there are many international travellers was that we made lasting friendships with other families. 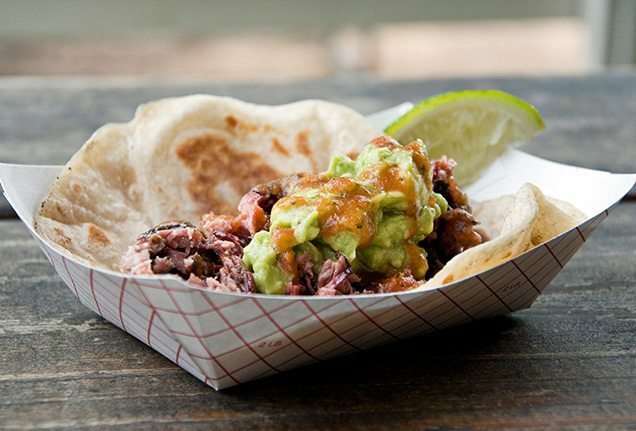 Make a trip to South Congress to try Austin’s amazing food trucks, so everyone in the family can try something they want—from freshly made doughnuts to Tex-Mex tacos. Austin is a terrific destination for active families. By far, the highlight of our trip was kayaking on Lady Bird Lake behind Four Seasons Hotel Austin. We loved cruising along together, and it was really cool to go under the bridge and hear the bats squeaking. If your children are a bit older, the Segway tour of Texas’ state capital is a great way to enjoy the city while keeping your child occupied and interested. (Be sure to check age restrictions.) And because the Hotel has so many amenities and fun things for the kids to do—they took part in the treasure hunt, played in the pool and watched bats at dusk—we were able to relax and soak in the sun. Austin can be explored by your taste buds as well. One of the best ways to do this with kids is to try the food trucks of nearby South Congress. Children have fun running between options and trying unfamiliar cuisine, and you might even get them to fall in love with something new. The city also offers delicious tacos: Try the breakfast tacos at El Primo, or chow down at lunchtime on a Valentina’s Tex Mex BBQ taco (both are food trucks), followed by one of Austin’s famous doughnuts. A personal favourite is Gourdough’s Donuts, where you can make a whole meal with variations on the tasty treats. 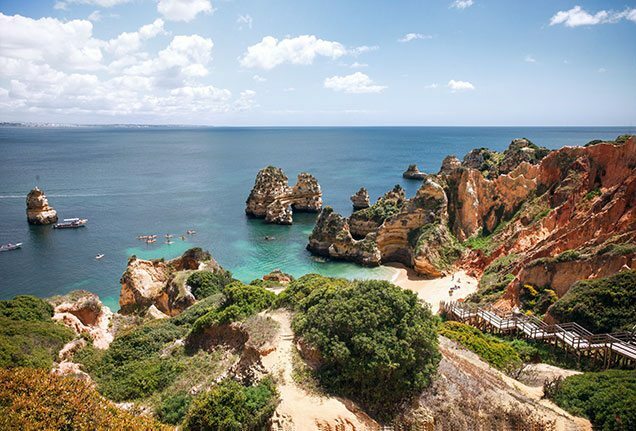 Renting a car is a great way to get out of Lisbon’s crowds and explore the Algarve, one of Portugal’s stunning natural wonders and a fun place for the kids to run along the sandy beaches or swim in the gentle surf. Upon arrival, we did a motorcycle and sidecar tour of Lisbon, which offered a fun, interactive way to see the city and to get a sense of the history and soul of the place. Next, we explored on foot. Keep in mind the amount of walking you’ll do in the city: There are plenty of hills to climb and cobblestone walks to hike down, but if you stay at Four Seasons Hotel Lisbon a massage at the luxurious Spa will quickly loosen tired muscles after a long day on your feet. The Hotel offers a great breakfast buffet, the perfect, hassle-free way to start each morning before exploring the city anew. Mix it up with trolley or taxi rides when the kids get tired, or rent a car. We explored coastal Algarve by car, taking in the deep turquoise waters with twisted rocks jutting out peacefully towards Africa, as well as exploring the nearby towns at Europe’s end. Car rentals offer the opportunity to get out of Lisbon and into the history and culture of Portugal’s more rural areas. And if all else fails, our kids loved to play in the warm sand or run laughing through the gentle surf on one of Portugal’s beautiful beaches. A full day of exploration in Washington, DC—from introducing your child to the wonders of the world at a Smithsonian museum to taking in historical monuments—is best ended by relaxing in the comfort of your room at Four Seasons Hotel Washington, DC. Washington, DC, is like an educational version of Disney World because there are so many great attractions and things to see and do with kids. Visiting the Smithsonian Museums is a must: Our 3-year-old enjoyed the National Museum of Natural History and the National Air and Space Museum, and it was fun for us as parents to revisit those old favourites, too. But the real highlight was the impressive Newseum, which looks at recent history through the lens of the media. Of course, after all of that museum-hopping, a trip or two around on the carousel at the National Mall is a perfect reward for good behaviour. After a busy day of sight-seeing, we were happy to go back and relax in our room at the beautiful Four Seasons Hotel Washington, DC, which is located in my favourite neighbourhood—Georgetown. Full of well-preserved Federalist architecture, Georgetown also has the best shopping and dining in the city. We managed to find time to stroll around the cobblestone streets, but my son had more fun back in the Hotel, enjoying the kid-friendly amenities. Home to the largest private garden in Florence, Four Seasons Hotel Firenze offers an oasis in an otherwise crowded city: Admire architecture in the morning, and then spend the afternoon watching your children play outdoors back at the Hotel. Florence is a busy metropolis, and the crowds and noise can be overwhelming. Luckily, Four Seasons Hotel Firenze has the largest private garden in the city—one of our favourite secluded hideaways, especially in summer. 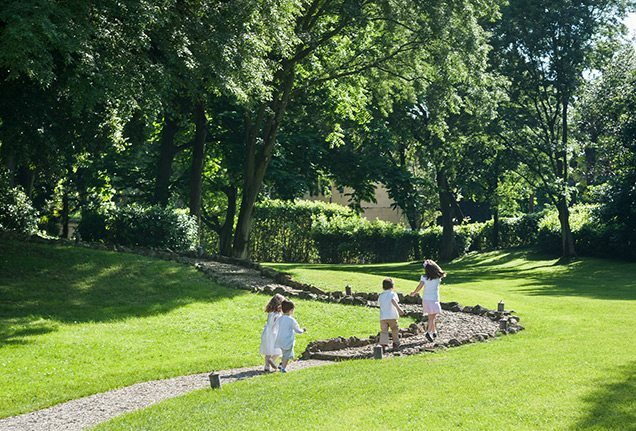 The oasis offers a pool; the vast garden itself, where the kids run; and a slice of calm and quiet without compromising proximity to Florence’s top sites. From the Hotel, everything is walkable. My son loved climbing to the top of the Duomo and counting the 463 steps of the dark, ancient stairwell. The summit offers stunning panoramic views of Florence that are worth the climb, and gave our family one of our all-time favourite travel memories. Although Florence is a city of Renaissance art and architecture, visiting with children offers the opportunity to see more of the parks, eat more delicious gelato and chow down on pizzas while experiencing the city’s attractions in an active, fun way. My son loved playing in the Santa Croce Piazza while we enjoyed superb people-watching in the shadow of the magnificent façade. Orlando is not exactly a stranger to family fun. 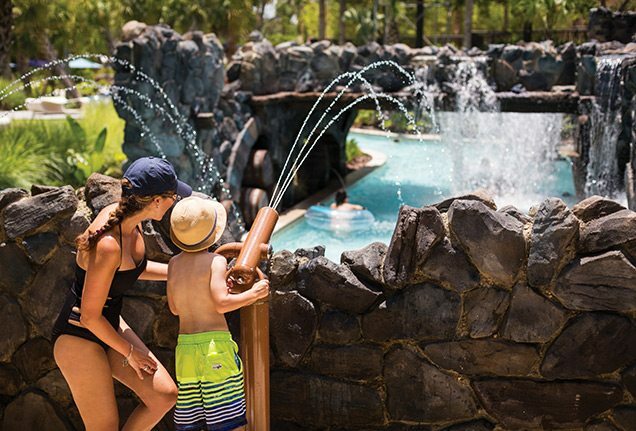 Earn a stream of smiles from your little ones at a theme park, or soak up the sun at the Resort pool, designed to be fun for both the young and the young at heart. Orlando is a place worth visiting over and over again so that you can experience the many attractions while still allowing time to relax poolside at Four Seasons Resort Orlando at Walt Disney World® Resort. Easy transfers from the airport to the Resort make travelling to this destination logistical bliss with children. My best advice for experiencing Orlando and Walt Disney World® Resort is not to try to do it all in one visit. You’ll exhaust yourself and the kids will be cranky. Instead, prioritise a few activities each day so that you feel accomplished rather than overwhelmed. And because the Resort has a private luxury bus to take your group to and from the Disney Theme Parks, you can schedule half-day visits to ensure there’s time left over to enjoy the Resort pool. If you’re tired of lines, take your tots to the Resort’s Good Morning Breakfast with Goofy & His Pals, where you can get pictures with all the characters they love as well as score a nutritious meal. Once you’ve experienced everything there is to see and do at Walt Disney World®—Magic Kingdom® Park, Epcot®, Disney’s Animal Kingdom® Theme Park and Disney’s Hollywood Studios®, to name only a few of the must-see attractions—retreat back to Four Seasons and enjoy Explorer Island, a 5-acre (2-hectare) family playground. Complete with fountain-equipped splash zone, lakefront family pool, meandering lazy river for tubing, gaming arena, and courts for beach volleyball and basketball, Explorer Island has something for everyone. 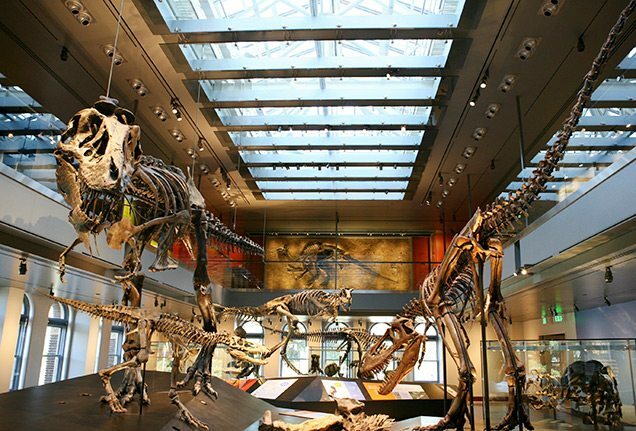 Encourage your child’s love of learning with a visit to the Natural History Museum of Los Angeles, where the Dinosaur Hall’s massive fossils will impress children of all ages. LA has ample attractions to make for a lively family vacation: With Disneyland only an hour away, the La Brea Tar Pits not far afield, and some of the world’s prettiest beaches and Santa Monica Pier nearby, there is no shortage of ways to entertain children of all ages. 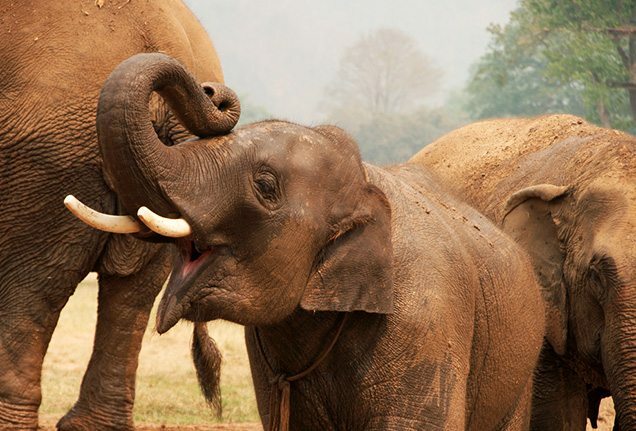 For an all-out family vacation, hit the Los Angeles Zoo, Universal Studios and the Natural History Museum of Los Angeles, where your kids can learn as well as play. For more of a local perspective, try the American Girl Place at The Grove for lunch in the café before doing a bit of shopping on Rodeo and Robertson. The LACMA children’s gallery offers interactive art and a fun way to get creative with your children. LA has the widest range of cultural activities in Southern California, and I’m always a fan of widening my daughter’s scope of interest and knowledge by exposing her to new things. Food in LA is easy for the young, who never seem to tire of the city’s creative kid’s menus. Or dine in at Four Seasons Hotel Los Angeles at Beverly Hills: The menu at Culina presents a vast number of choices, but if your child can’t find anything appealing, the Hotel can make something to suit his or her palate.